A week after he secured the Formula E Championship title with a victory in the last race of the season, Jean-Eric Vergne climbed to the top podium spot again. 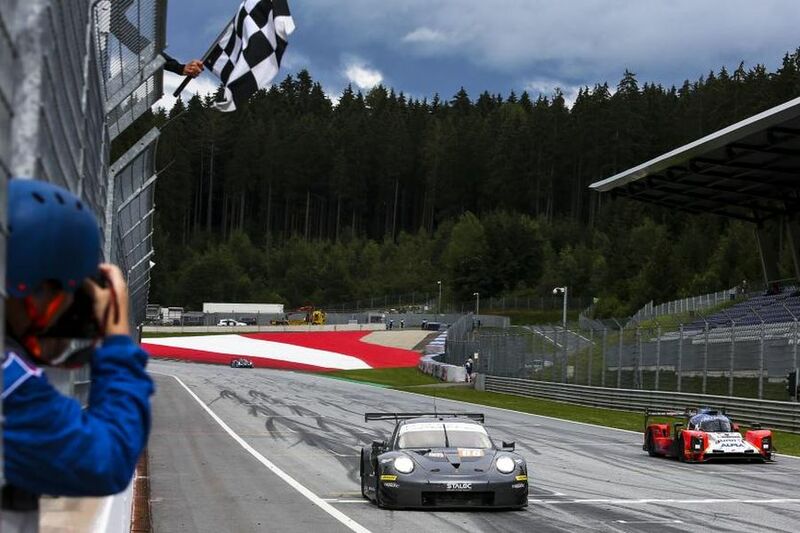 He won 4 Hours of Red Bull Ring, the third round of the 2018 European Le Mans Series season. It’s second ELMS win this year for Vergne and his teammates Andrea Pizzitola and Roman Rusinov in the #26 G-Drive Racing Oreca-Gibson LMP2 prototype. The trio in the #26 car completed 160 laps and crossed the finish line 19.863 seconds ahead of the #29 Duqueine Engineering Oreca, driven by Nelson Panciatici, Nico Jamin and Pierre Ragues. Panciatici defeated Olivier Pla in the fight for P2. Pla was sharing the #24 Racing Engineering Oreca with Norman Nato and Paul Petit. RLR Msport’s Rob Garofall, John Farano and Job van Uitert are the winners in the LMP3 category in the #15 Ligier JS P3-Nissan. They completed 148 laps and defeated the second-placed crew by just five seconds. The Ecurie Ecosse/Nielsen’s #7 Ligier finished second, driven by Alex Kapadia, Colin Noble and Christian Stubbe Olsen. Inter Europol Competition’s Martin Hippe and Jakub Smiechowski finished third in the #13 Ligier. The victory in GTE class went to Proton Competition’s Matteo Cairoli, Gianluca Roda and Giorgio Roda in the #88 Porsche 911 RSR. Spirit of Race #55 Ferrari 488 GTE finished in the second place, ahead of Ebimotors #80 Porsche. Ferrari was driven by Matt Griffin, Duncan Cameron and Aaron Scott. Ebimotors Porsche was driven by Fabio Babini, Raymond Narac and Riccardo Pera.